In 1967, Vince Lombardi and the eventual Super Bowl champion Green Bay Packers were massive 20-point favorites over the Minnesota Vikings -- and lost 10-7 in the iconic franchise's worst upset loss ever. Flash-forward to Dec. 2, 2018: On an NFL Sunday full of heavy chalk, the Packers were 13.5-point favorites versus a two-win Arizona Cardinals team. With Aaron Rodgers under center, Green Bay was 14-0 straight-up when favored by 11 or more points. So it's not hard to see why some modern-day Packers backers were convinced that the franchise's second-worst upset loss ever wasn't about to transpire Sunday -- not against the lowly Cardinals, certainly not at vaunted Lambeau Field and definitely not as such gaudy favorites. For example, take the patron at Caesars book in Las Vegas who placed a mid-five-figure money-line bet on the Packers to beat the Cardinals at -900 odds for a chance at around a $6,000 profit. In New Jersey, a bettor at a William Hill sportsbook risked $8,000 on the Packers at -800 odds for a chance at a $1,000 net win. And back in Nevada, William Hill took $7,200 money-line bet on Green Bay at -900 odds. That bet would have won a net $800. Those chunks of change remain with the house, after Green Bay kicker Mason Crosby missed a 49-yard field goal that would have forced overtime as time expired in a 20-17 loss to Arizona. The biggest money-line bet William Hill took on the Cardinals, by the way, was $130 at +600, a net win of $780. It was a good Sunday for the books. Those were a few of the pain points for bettors on a rough first weekend of December that featured the largest reported NFL wagers of the season and a heavyweight fight that drew more betting interest than any of the college football championship games. • On Saturday, an MGM sportsbook in Las Vegas took a $330,000 bet on the Atlanta Falcons -2.5 against the Baltimore Ravens. At that point, it was the largest single bet MGM had taken on an NFL game this season -- and it was a loser. • The Ravens, who opened as high as 3-point favorites, closed as 2.5-point underdogs after money from respected players poured in on Atlanta early in the week. Baltimore won 26-16. • Sportsbook operator CG Technology said it took multiple limit bets early in the week on the Falcons +1.5 and pick 'em. By last Wednesday, Atlanta had become the favorite at most sportsbooks, but bettors didn't shy away. "Everyone just kept following the move, betting the Falcons," vice president of risk Jason Simbal said. • "Without looking back, I'm guessing [Ravens covering] was probably our best game of the year," MGM race and sports director Jeff Stoneback said. • The $330,000 bet on the Falcons didn't last long as the largest of the season for MGM. It was promptly eclipsed Sunday by a "mid-six-figure" bet on the New England Patriots -5 against the Minnesota Vikings. That one was a winner, as the Patriots pulled away in the second half Vikings for a 24-10 victory. "We got quite a bit of buyback on that one," Stoneback said Sunday afternoon. "We had another casino player come in and bet on the Vikings, after we took that bet. It's going to be a decent-size loss for us, but nothing like it could've been." • A bettor at a William Hill sportsbook placed a $71,900 money-line bet on the Los Angeles Rams to beat the Detroit Lions. The bet netted $15,136.85 after the Rams improved to 11-1 with a 30-16 victory in Detroit. • Sportsbook operator CG Technology took a $110,000 bet on the Rams -10. Los Angeles covered the spread on a touchdown run by Todd Gurley with 1:54 to play. • On Sunday morning, a few hours before the early kickoffs, the SuperBook reported that 99 percent of the money that had been wagered on the Indianapolis-Jacksonville game was on the favored Colts. The Jaguars won 6-0. "That was a very surprising and welcome result for the book," Murray said. • Shortly before kickoff of the late afternoon games, the SuperBook took a $70,000 money-line parlay on the Tennessee Titans and Seattle Seahawks that netted around $30,000, when the Titans and Seahawks both won. • The NFL week got off to a big start last Thursday when the Dallas Cowboys pulled an outright upset 13-10 over the favored New Orleans Saints. "That was by far the best primetime game we've had this season," Stoneback said. "Behind only the Ravens game, it was probably our second-best game of the season. Everyone was in on the Saints, especially in Mississippi. We took two six-figure bets on the Saints down in Mississippi at the Beau Rivage." • The Saints-Cowboys game was the most heavily bet game of the week for New Jersey online sportsbook PlaySugarHouse.com. 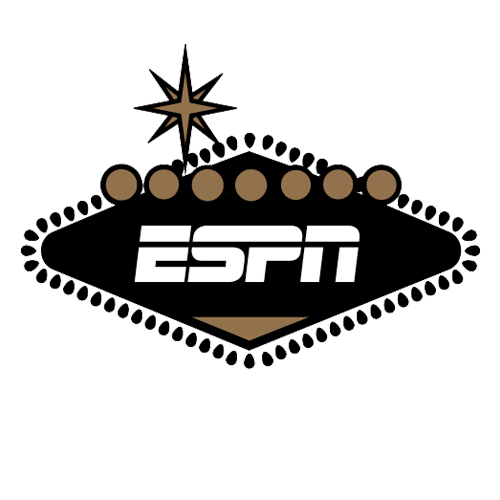 • "Thursday night was a great result for us," SuperBook at Westgate Las Vegas director John Murray told ESPN in an email. "The Saints had to eventually lose a game [against the spread], and we had the added bonus of them losing outright. Lots of money-line parlays and teasers went up in flames the first night of the week." • Sportsbooks reported needing the Los Angeles Chargers to cover the 3/3.5-point spread against the favored Pittsburgh Steelers in the Sunday night game. The Chargers rallied back from a 16-point halftime deficit to hand the Steelers their second-straight loss 33-30. • Green Bay coach Mike McCarthy, who was fired Sunday, went 123-91-7 against the spread in his 13 seasons with the Packers. Only New England Patriots coach Bill Belichick has a better record against the spread during that time period. • The best-case outcome for MGM and CG Technology books in the playoff would be No. 1 Alabama winning it all. "They were such a big favorite all year, so no one wanted to bet them," Simbal said. • Over 55 percent of the money wagered on the Alabama-Georgia game at the Golden Nugget in New Jersey was placed after the game kicked off. "The comeback from Alabama was a disaster for us in terms of in-play margin," a Golden Nugget sportsbook representative reported. "This was concrete evidence that in-play wagering is here." • Overall, 41 percent of all money wagered came from in-play betting at the Golden Nugget over the weekend, the book said. • Kansas State coach Bill Snyder, who announced his retirement, will be missed by sports bettors. Snyder developed almost a cult following among college football bettors for his knack at covering the spread. He covered the number in 57.7 percent (182-133) of his games during his 27-season career. It's one of the best career ATS marks of any coach in the last 30 years. • The sportsbooks reported an up-and-down Saturday in college football. "The game that really helped us out was the Georgia game," Stoneback said. "And the Oklahoma game going under was a big swing for us. Usually a total doesn't sway a college football game that much, but in this game, everyone was betting the over. It would've been a really nice Saturday if Northwestern would've covered against Ohio State." • A VIP at the SuperBook placed a $55,000 bet on Clemson -27 in the ACC Championship Game against Pittsburgh. The Tigers covered the spread in a 42-10 route. "We got off to a great start [on Saturday] with big wins on Virginia Tech and the Big 12 Championship Game between Texas and Oklahoma staying under the total," Murray wrote. "The late games were less successful for us." • With the Army-Navy game remaining, college football underdogs are 422-405-16 against the spread. It is the third consecutive season underdogs have covered the spread in more games than favorites, according to BetLabSports.com. • There have been 418 overs, 413 unders and 10 pushes, heading into the Army-Navy game. • 192 underdogs pulled straight-up upsets this season, the second-most for any regular season since 2005. • Army opened as a 7-point favorite over Navy. In the last 20 meetings, Army has covered the spread 10 times, and Navy has covered the spread 10 times. • The biggest upset of the regular season, according to the point spread, was Old Dominion over Virginia Tech. The Monarchs were 28.5-point underdogs when they beat the Hokies 49-35. • Trailing NC State 58-0 late in the fourth quarter Saturday, East Carolina kicker Jake Verity made a 46-yard field goal as time expired. The Wolfpack won 58-3. The over/under was 60.5 or 61 at Las Vegas sportsbooks. • Multiple Las Vegas sportsbooks said more money was bet heavyweight title fight between Deontay Wilder and Tyson Fury than was bet on any of Saturday's college football championship games. Wilder closed as around -200 favorite, with Fury going off as around a +180 underdog. The odds remained similar throughout the fight that came down to a decision. Fury got off the canvas twice to salvage a draw and set up what will be a highly-anticipated rematch. • MGM reported taking a $170,000 bet on Wilder to win $100,000, among several other large bets on the undefeated WBC champion. "We were buried on Wilder," Stoneback said. "We had at least five six-figure bets on Wilder." • "We wrote more money on the Wilder-Fury fight than any college football game played on Saturday," the SuperBook's Murray wrote. • The SuperBook posted odds on a potential rematch: Wilder (even) vs. Fury (-120). • The team that attracted the most bets in November at DraftKings' New Jersey sportsbook was the Golden State Warriors, who went 5-9 against the spread during the month. The team that attracted the fewest bets in November at DraftKings was the Cleveland Cavaliers, who went 6-8 ATS during the month. • The most-heavily bet game in November at DraftKings was the New Orleans Pelicans game at the Portland Trail Blazers on Nov. 1. The Blazers covered as 6.5-point favorites in a 132-119 win. The Warriors were involved in six of the top 10 most-heavily bet NBA games at DraftKings in November.